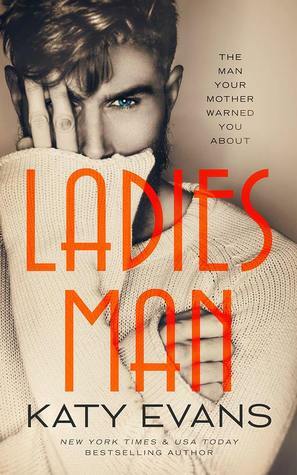 If you enjoyed the Manwhore Series, you will want to read Ladies Man. Tahoe Roth is more of a manwhore than Malcolm Saint. The question is will he give up his ways for love or better yet why is he this way. Will Gina be the woman to tame this ladies man?? I loved Tahoe and Gina’s connection and banter in the Manwhore Series. I felt that Ladies Man was lacking something. That being said this was a 4.25 star read for me.To me the plot lacked true conflict, we had angst; characters that wanted to be together but were to afraid to admit it. I love Tahoe; I’m a sucker for a good guy manwhore. Tahoe is a true southern gentleman, willing to go out of his way for those he cares for. Gina characters was a little lackluster for me, she did somethings as a character that I don’t like in a my real life friends and that frustrated me. I did enjoy watching their friendship grow. Once they let their guards down and opened up to one another that is when the story took off. If we could have gotten there sooner. To me it seemed like a lot of hiding. Which was frustrating because Gina saw the ‘real’ Tahoe and he saw her. Gina was hiding behind an image she created, Tahoe was hiding behind the ladies. When they finally made the decision to be together the book improved. This book is different than the previous Manwhore books. We still have the same strong writing and engaging character; Ladies Man just has a different feel. I would have liked to see the hiding stop earlier in the book and focus more on their relationship. Maybe even some true conflict instead of a woman just lusting over a man. The last 10% is what turned this story around. I wish we could have gotten here sooner. We even get a look at our FAVORITE Manwhore and Rachel! There are more books coming for this series. I can’t wait for them. I like it when authors give us a glimpse into past characters lives..